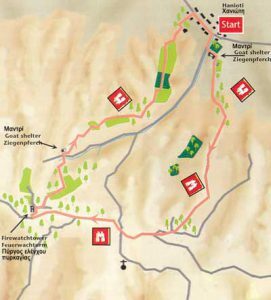 This route begins from Sani area and more precisely from Porto Sani Village and it ends at Siviri. 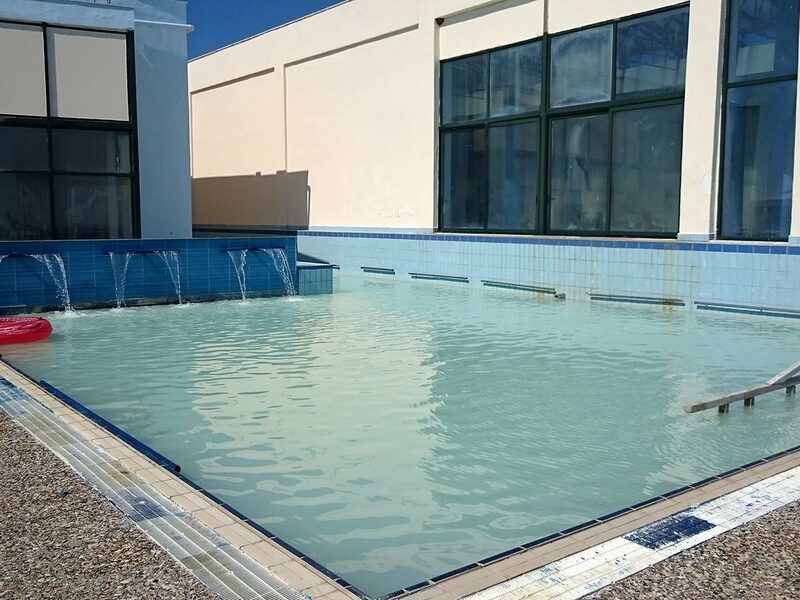 You will love the scenery view and the walk in the forest. (organized return, 20 km, altitude until 60 meters). 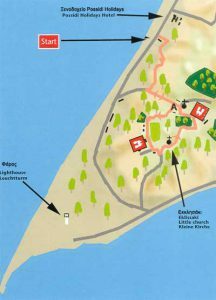 An easy, circular, ridge walk in the pinewoods above the Possidi beach, which provides beautiful views of the coast as well as the olive grove, covered valley Inland, towards Kalandra. The path follows forest tracks for most of the way. 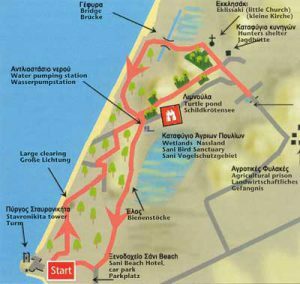 The start and finish of the walk is from the coast road 300m south of the Possidi Holidays Hotel. There is ample parking on open ground just past the hotel, if the road at the Start is too busy to park there. 14th Century documents in Mt Athos mention Possidi, but as the name relates to the worship of Poseidon, the god of the sea, it was probably named in much earlier times. 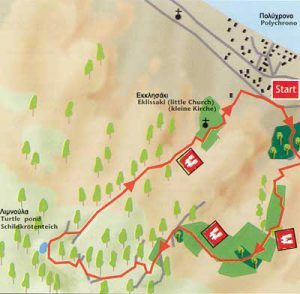 This walk takes one up into the hills behind Polyhrono to visit a pond in the woods where turtles are found (Mavrobara lake). 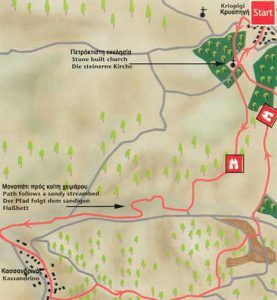 The path follows broad forest tracks, passing through a high valley, surrounded by sandstone cliffs and pine forest. The return path, gives many fine views of the sea and coast as it gradually descends, through the trees, to Polyhrono. These pinewoods contain many large trees, often reaching up towards the light from the bottoms of deep gorges, which are covered with dense undergrowth. This provides a fine habitat for birds, small mammals and insects. Tortoises and lizards are often encountered as well as the turtles. Depending on the season, the more open ground can be a mass of color, with its flowers, shrubs and butterflies. The path Starts about 300m past the traffic lights in Polyhrono, just opposite a small supermarket. This walk, which is quite long, takes one via forest tracks to the beautiful little village of Kassandrino , hidden away in the hills of Kassandra. This unspoilt Creek village is a delight to visit. 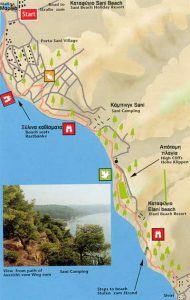 The return path to Kryopighi also uses forest tracks that take one through the more remote parts of this peninsula. The walk begins beside the church in Kryopighi. On entering the village from the north turn right into the old village immediately after passing under the second set of flashing amber traffic Signals.